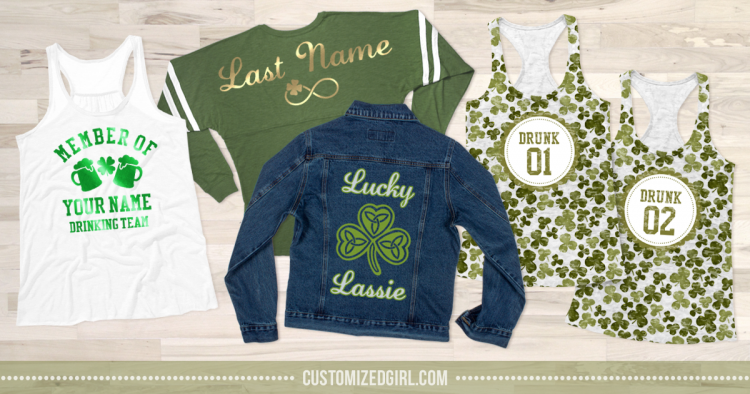 Everyone knows that St. Patrick’s Day has a much deeper meaning than green beer and shamrock shaped glasses but whatever your objective may be this year, Customized Girl has the perfect St. Patrick’s Day designs for you. 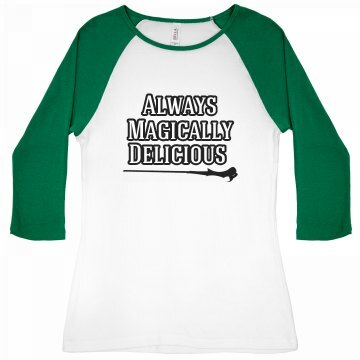 We’ve put a list together of our favorite custom St Patricks Day shirts that will get you extra lucky this year! 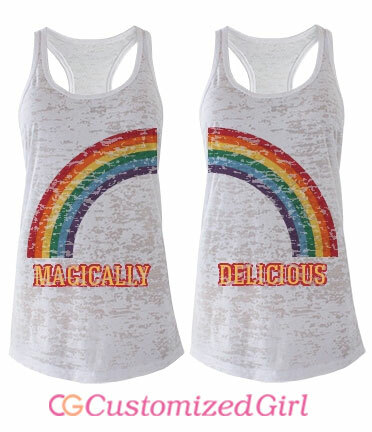 Customized Girl offers the trendiest custom green apparel online for women and men. Bar hopping? Need matching shirts for the local parade? 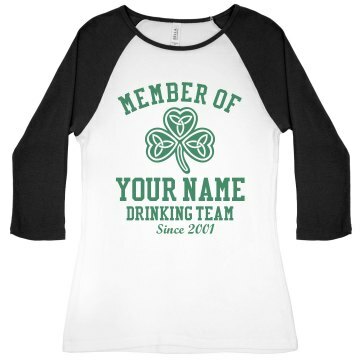 Custom St Patricks Day shirts are perfect for any and every reason you love to celebrate this Gaelic holiday. Every year our designers add new and relevant art to green apparel and accessories. Take any design from our gallery and easily add your own art and text or swap out the product to whatever style you like best. You can easily modify one of our designs or create your own from scratch. 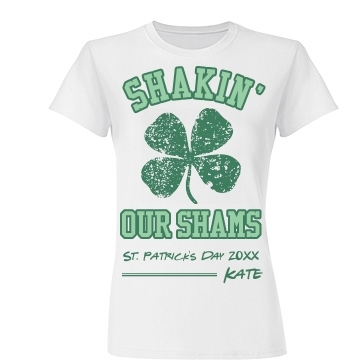 Shake your shamrocks? Lucky charm? With our amazing one-of-a-kind design center you can create whatever you want! We even have custom apparel for all the little laddies and lassies. Easily create matching designs for the whole family to attend the parade this year! It’s March and that can only mean one thing – St Patrick’s Day is almost here! Soon shamrocks and leprechauns will be everywhere and people will celebrate with parades and tasty beverages. The most important part of participating in this holiday is that you must wear green. Planning an outfit around this color is essential for St. Patrick’s Day because if you don’t don this lucky color chances are you’ll receive an unpleasant pinch. Customized Girl doesn’t want our amazing customers to be subjected to such a terrible experience and we want everyone to proudly show off their festive spirit with metallic print raglan tees! 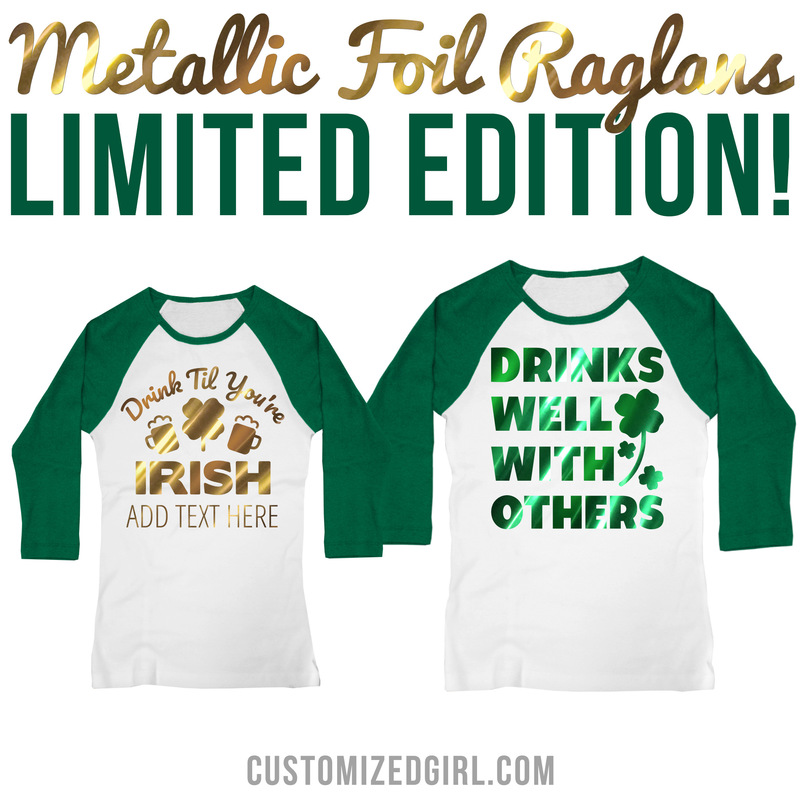 Customized Girl has had the opportunity to add metallic foil to our raglan tees just in time for St. Patrick’s Day. This shiny, shimmering foil is a great method to create a durable design on unique items. For example, it’s not possible to create custom, no-minimum designs using ink on items like duffel bags and mesh jerseys. Instead we use an ultra-thin, precision-cut, heat-pressed “film” material. Because we cut this material before heat pressing, we must avoid complex shapes and uploaded images. Items using this method cannot be distressed or use distressed fonts like Angelic War. Also, certain pieces of art from our library are too intricate for film. Adding metallic foil to your custom shirt will make you the life of the party but don’t wait! Just like the pot of gold at the end of the rainbow this is a limited time St. Patrick’s Day offer. It’s that time of year again where everyone is a little bit Irish. St. Patrick’s Day is celebrated all around the world and is the the one day a year where everyone enjoys festive parades, tasty beverages, and most importantly, wears their greenest apparel. 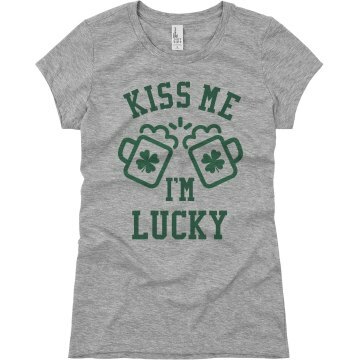 Everyone has different reasons and ways to observe this holiday but it doesn’t matter if you are the classiest lassie or luckiest laddie, you’ll only want the best St. Patrick’s Day shirts when joining in on all of the shenanigans! 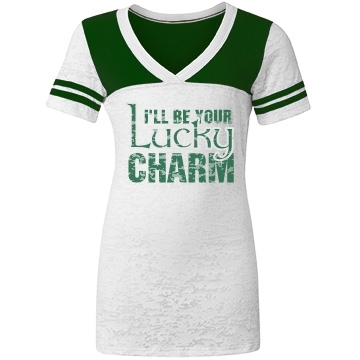 Customized Girl offers the trendiest custom green apparel online for women and men. Participating in a run? Bar crawling across downtown? 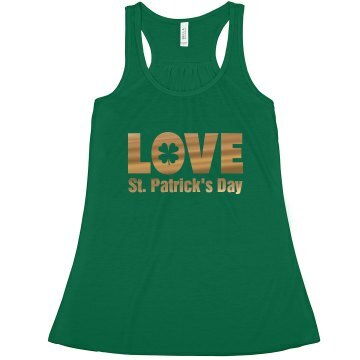 Custom St. Patrick’s Day shirts are perfect for any and every reason you love to celebrate this colorful holiday. Every year our designers add new and relevant art to fashionable apparel and accessories. Take any design from our gallery and easily add your own art and text or swap out the product to whatever style you like best. The ability to create matching designs for a large group and even across multiple products is effortless in our design center. Our group discounts and no minimums allows customers to create designs for their entire staff or that one special design that no one else will have! We are beyond excited to announce that this year we’ve added new printing processes to enhance your St. Patrick’s Day apparel! Add metallic foil to your design to sparkle and shine or choose an all over print to really stand out in the crowd. 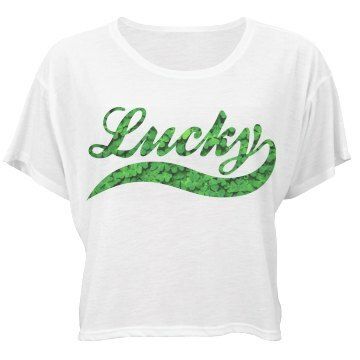 Be green and get lucky with custom St. Patrick’s Day apparel this year! At Customized Girl we really can’t get enough of Pinterest. It’s a great visual discovery tool that you can use to find ideas for all your projects and interests. We love to use Pinterest as a marketing tool but also to research the newest trends in custom apparel. The best part about Pinterest is the endless ideas for entertainment and party planning. With the greenest holiday around the corner, we made sure to collect the best and most interesting St. Patrick’s Day Pinterest ideas. 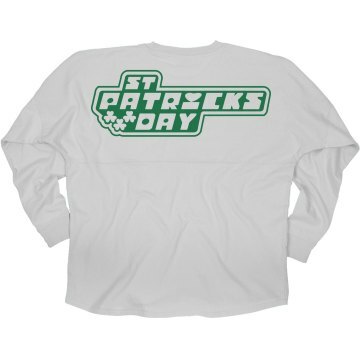 St. Patrick’s Day is considered one our biggest holiday’s in custom apparel and we want to give our followers not only the most unique designs but one of a kind ideas to celebrate the holiday to it’s fullest. We’ve collected all of our favorite recipes, decor, and custom shirts for St. Patrick’s Day and organized them all onto our St. Patrick’s Day pinterest board. 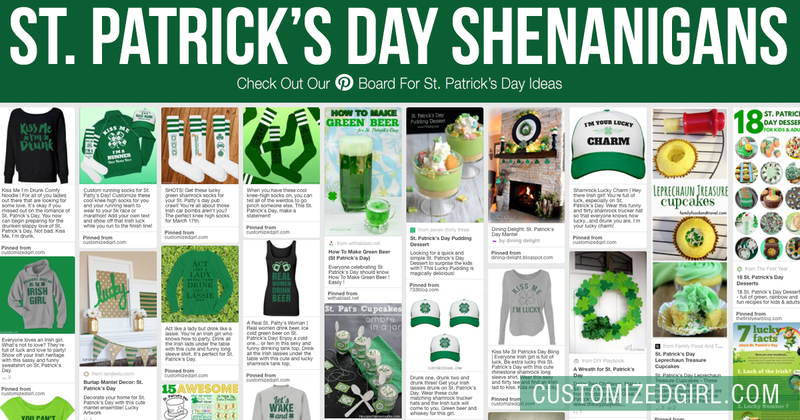 This board is an amazing resource for everything St. Patrick’s Day! You can easily find everything you need to plan the perfect party for adults and even kids. If you are still struggling to think of the most perfect additions to any event or party then make sure you check out this board! Customized Girl’s pinterest page is a great source for custom gifts and holiday ideas! 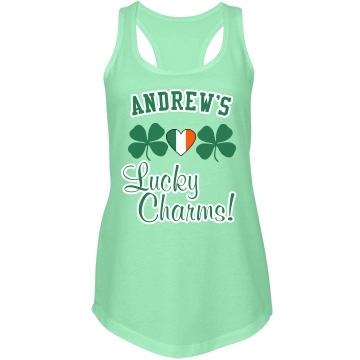 St. Patrick’s Day is almost here and you don’t want to be caught without your green apparel! 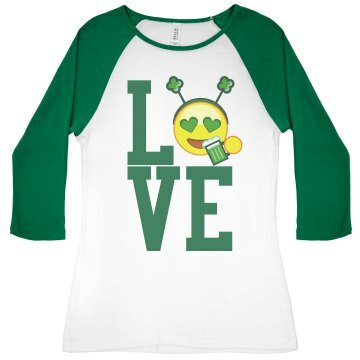 Finding the perfect St. Patrick’s Day shirt can be tricky and you want to make sure it sends the right message. 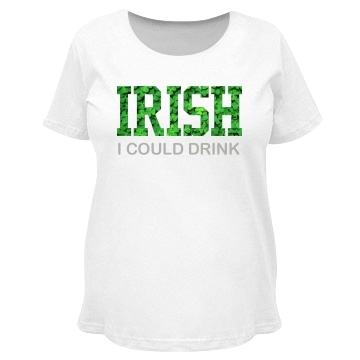 Bar crawling or simply watching the fantastic parades, whatever your objective may be this year, Customized Girl has the perfect St. Patrick’s Day shirt for you. 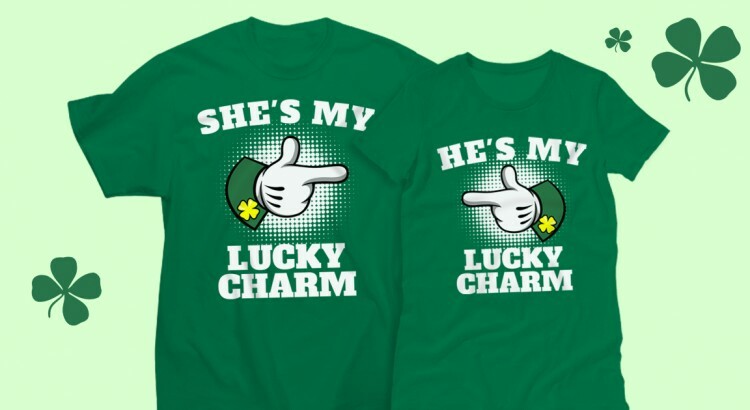 We’ve put together our favorite designs to help you find the ideal and most unique St. Patty’s shirt! 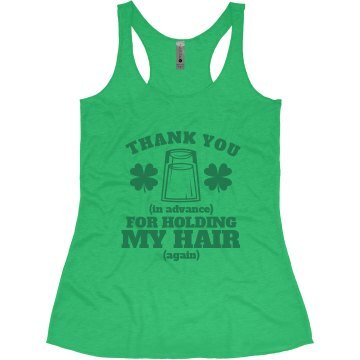 What is St. Patrick’s Day without a little hair holding? Classic but to the point. Be a mean, green, emoji machine! Lassies, laddies, and shamrocks, clovers, and green beer! Really dazzle in this metallic gold tank top. Be extra super with this trendy billboard jersey. 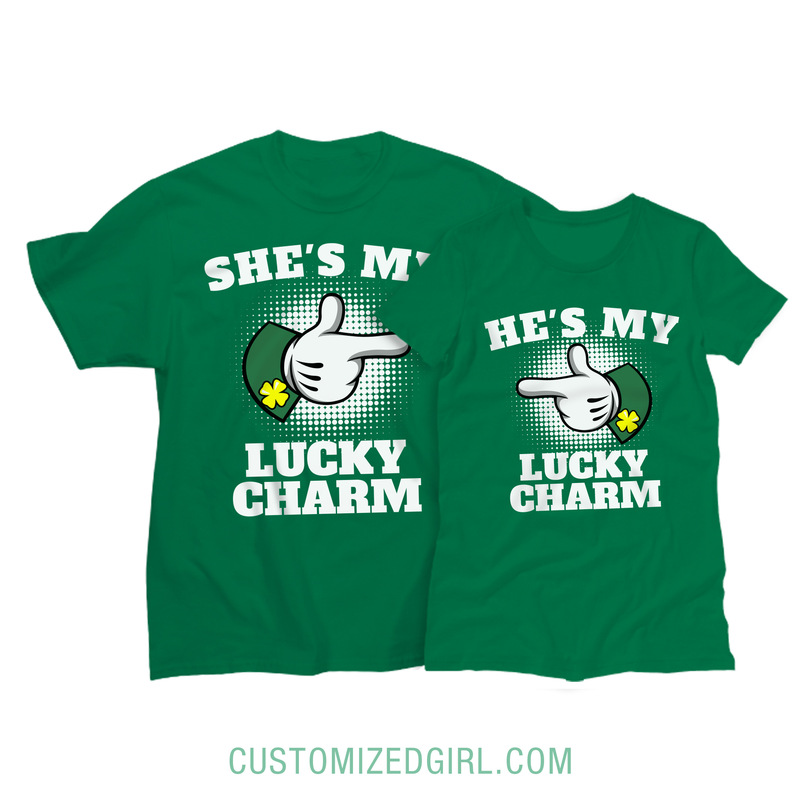 Let everyone know that you are each other’s lucky charms! 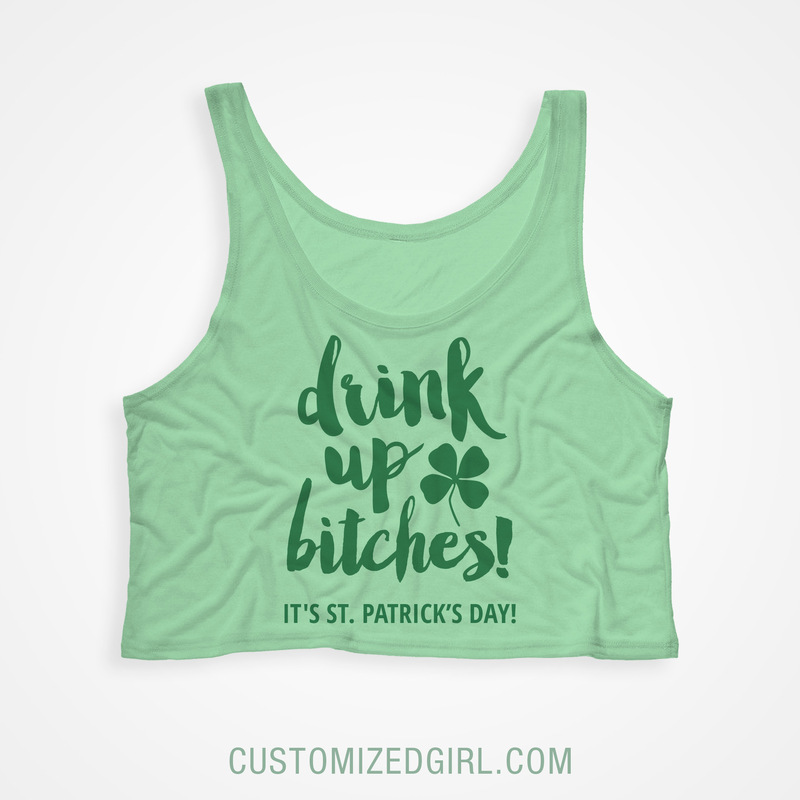 Customized Girl proudly offers the trendiest green apparel online and the most talented designers that are constantly adding new art to our gallery to help you create the perfect St. Patrick’s Day shirt no matter what reason you may be celebrating this year. 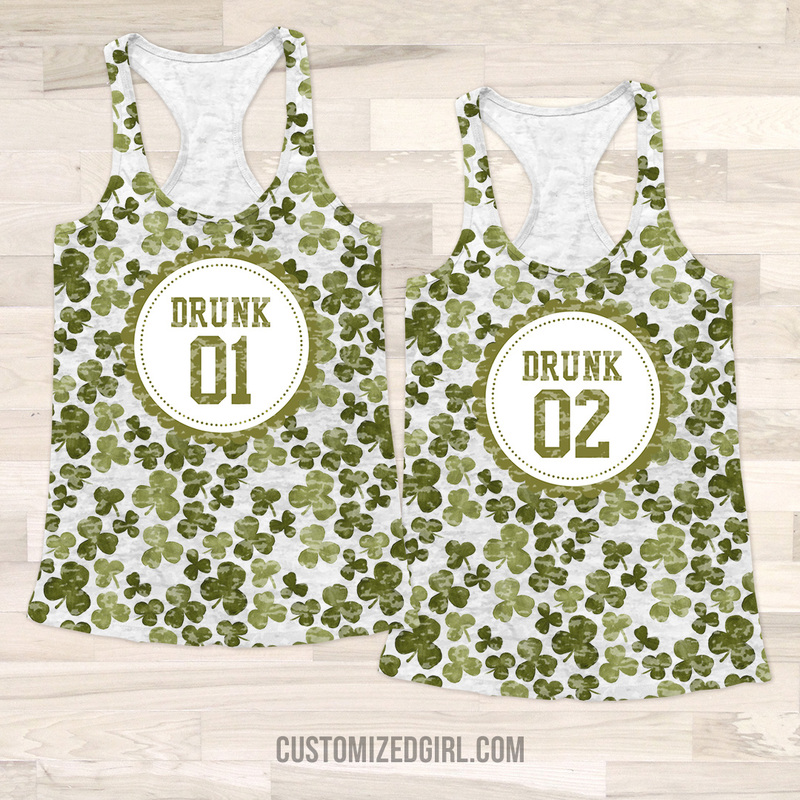 Our St. Patty’s art can be used for St. Patrick’s Day running shirts or even rhinestone art for St. Patrick’s Day rhinestone shirts for the ladies who really want to bling out. Even if you have to work this holiday, we have great St. Patrick’s day business shirts that we guarantee you will not find anywhere else! 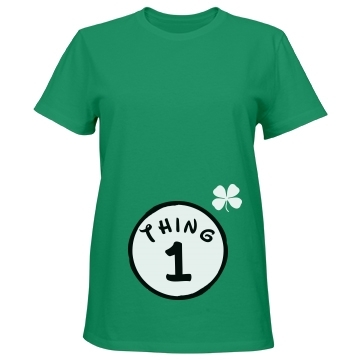 Looking for a St. Patrick’s Day shirt but lack the creativity to come up with a unique design? Don’t worry! We know every guy and gal has their own style so we make sure to keep a wide selection of shirts that any design can be added to. Take any design from our gallery and easily swap out the product to whatever style you like best. It’s as simple as that! You can even easily create matching accessories by taking your favorite design and adding it to socks, scarves, hats, and bags. St. Patrick’s Day is almost here and that means big and small cities are getting last minute preparations together for the greenest holiday of the season! It doesn’t matter if you plan on watching the parade or parading yourself to the local bars – your green attire is crucial to your day of activities especially if you are a classy lassie. Ladies put a lot of time and effort into their St. Patrick’s Day outfit. Are you a trend setter that wants to get noticed among the crowd or is a classic design more of your style? 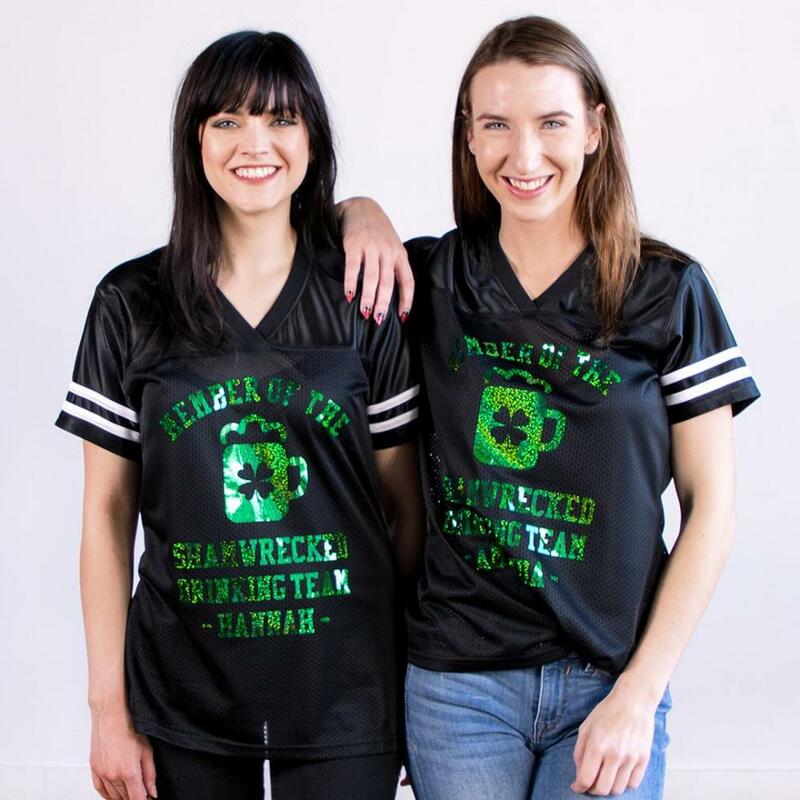 Customized Girl has put together some of our favorite St. Patrick’s Day shirts for women that will satisfy the biggest party-goer, the funniest of friends, and even the expecting mother. 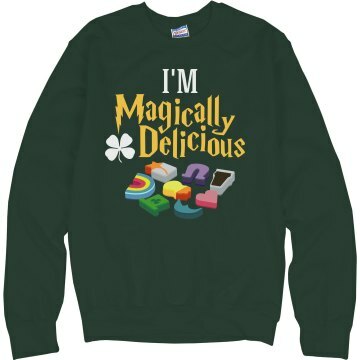 Looking for a St. Patrick’s Day shirt but lack the creativity to come up with a unique design? Don’t worry! We have filled our gallery with new and trendy Irish designs that are guaranteed to be the best! We know every girl has their own style so we make sure to keep a wide selection of shirts that any design can be added to. Take any design from our gallery and easily swap out the product to whatever style you like best. It’s as simple as that! Parades, marathons, or drinking green beer – St. Patrick’s Day has many reasons to celebrate. St. Patrick’s Day is associated with everything Irish: shamrocks, luck, and anything green and gold. With that being said, March 17th is the one day to wear all things green. 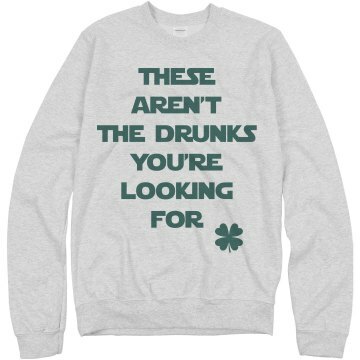 What you wear on St. Patrick’s Day can say a lot about you as a person and your personality. 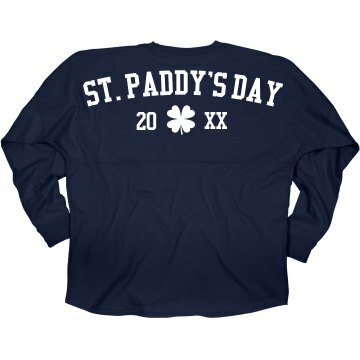 Finding the perfect St. Day Patrick’s gear can be time consuming and a piece by piece process. 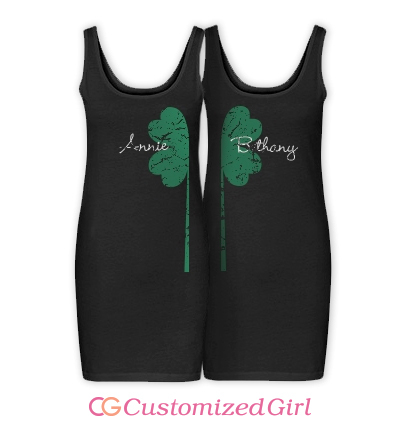 Stop your searching because Customized Girl has all your St. Patrick’s Day needs from your head to your toes. Customized Girl offers the trendiest in not only the product styles but also with art. 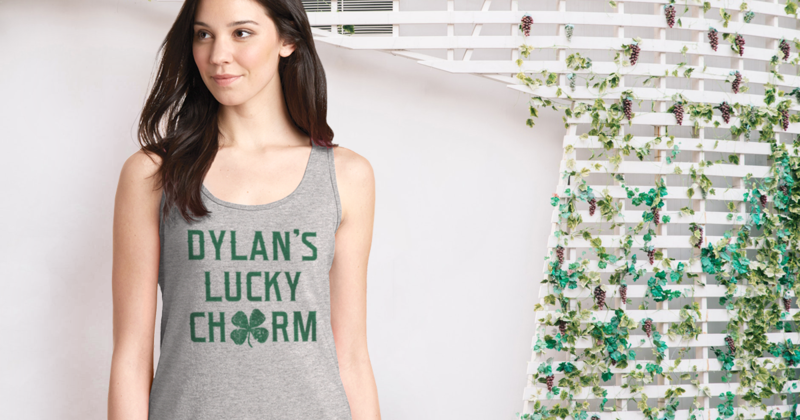 We have added new art to our gallery this year to create the perfect St. Patrick’s Day shirt no matter what reason you may be celebrating this year! Beer, bows, and clover text art are just a few new additions. 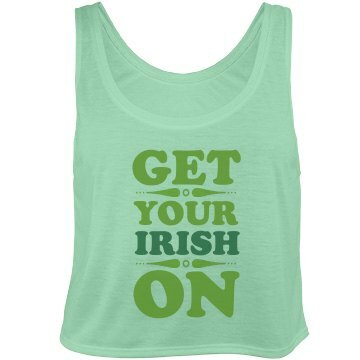 We have a large gallery of art that would work for St. Patrick’s Day running shirts or even St. Patrick’s Day rhinestone shirts for the ladies who really want to bling out. Make your statement this year by customizing your very own design! 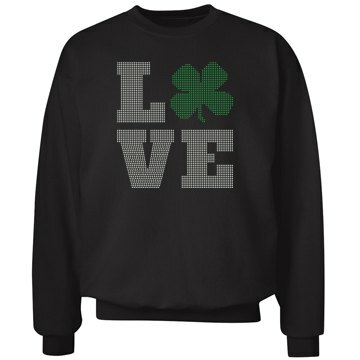 Do you love St. Patrick’s Day as much as we do? 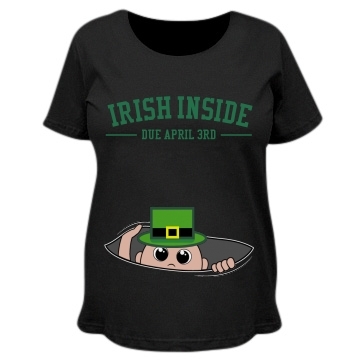 Send us your amazing pictures with your custom St. Patrick’s Day shirts!